With over a decade practicing Bowen Therapy in Hervey Bay, Karen Alexander of Hillcrest Harmony is a valued practitioner who has joined the recently opened Mind, Body & Spirit Centre. 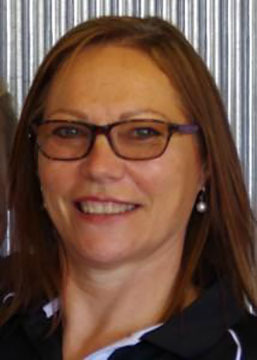 A registered member of the Bowen Association of Australia, Karen has completed a Diploma of Specialised Bowen Therapy. She has also studied Kinesiology and it is obvious that Karen has a passion for natural health and nutrition, having also undertaken informal studies in these areas. A Bowen therapy treatment with Karen Alexander at the Mind, Body & Spirit Centre is sure to bring a great deal of ease to any persistent issues that you may have. Developed over 50 years ago by Tom Bowen, an Australian sports trainer, it is a much sought after holistic approach to reducing physical pain and other health issues. Bowen therapy involves a series of moves on the fascia, the soft tissue under the skin, stimulating the body’s natural responses to bringing self-healing attributes for medical and physical complaints. Because Bowen therapy works holistically on the fascia it can be very beneficial for persistent problems that have not responded to prescribed medication, other therapies or other forms of body work. Treatment by way of Bowen therapy creates deep, long lasting healing and pain relief because its process is to treat the cause of the medical condition as opposed to conventional methods that work only on the symptoms. Bowen therapy works on the body as a whole rather than working on one specific area and as a result, many patients who embrace Bowen Therapy as their choice of therapy to reduce physical pain or other health issues, may notice a reduction in their stress and anxiety levels. If you have never had a Bowen Therapy Treatment, Karen Alexander welcomes you to experience this for yourself and is sure that you will be amazed with the results. Call the Mind, Body & Spirit Centre on 0422 630 127 now to book your appointment.